These days much of our information is online. It is important to keep that information private and secure. Navigating cyberspace presents other problems as well, such as scams and identity theft. Below find key tips for keeping yourself and your data secure. 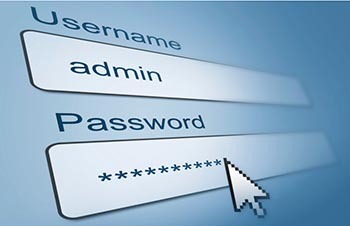 Stronger passwords – Strong passwords are required to help protect your identity. Here is a list of 10 Dos and Don’ts for Powerful Passwords. Mother’s maiden name, Dad’s middle name, etc. Use Multi Factor Authentication (MFA) where possible – This process requires the presentation of at least two independent authentication factors. The first is a knowledge factor. It is something only the user knows, which is usually a password. The second piece of information comes from something the user possess, e.g., a text message sent by the site to your phone. It is important to add MFA to all possible accounts because even if someone knows or guesses your password, they will not be able to access your account without the randomly generated second factor that must be presented for identification. Many big sites, including Facebook, Google, Microsoft and Apple, offer MFA for your protection. Carefully select what and when you share information - Be careful to not share your full name, address, and account numbers. Any messages in cyberspace that request you to share private information are immediate signs that you might be facing a scam artist. If a scam is suspected, do not reply or click on links. Dealing with junk/spam – There is more spam sent daily than there are people living on the earth; some 10 billion spam emails are sent. A significant amount of this junk email is nefarious. Internet junk mail should never be opened and immediately deleted. If you can’t identify the mail, it’s probably not worth opening. Even if you can identify the sender, open email with caution and never click on links in these email. To prevent your operating system from becoming compromised, manually enter the url into the browser. Links that appear to be correct may, in fact, point to a different url. See the example from Microsoft’s phishing page below. In the picture, notice that while the blue link says Wood Grove Bank, the true url is pointed to 192.168.225.205/wood/index.htm. Phishing scams are common both on and offline. According to Microsoft, phishing is a type of scam that can come through email messages, websites, and phone calls. They are designed to steel your information, identity or money. Cybercriminals can do this by installing malicious software on your computer or stealing personal information off of your computer. The Securities and Exchange Commission provides useful advice for avoiding many of the phishing scams that you might run into. Today, general scams that are sent to everyone are giving way to Social Engineering scams. Webroot defines Social Engineering as “the art of manipulating people so they give up confidential information. The types of information these criminals are seeking can vary, but when individuals are targeted the criminals are usually trying to trick you into giving them your passwords or bank information, or access your computer to secretly install malicious software–that will give them access to your passwords and bank information as well as giving them control over your computer.” Visit the Webroot site to see the most common scams and how to protect yourself from them. Messages that respond to a question you never had. Messages that looks like they is from a friend of yours. Messages containing links or downloads. Slow down - Spammers want you to act first and think later. Research the facts - Be suspicious of any unsolicited messages. Reject requests for help or offers of help - Legitimate companies and organizations do not contact you to provide help. Don’t let a link be in control of where you land - Stay in control by finding the website yourself using a search engine to be sure you land where you intend to land. Privacy – Once something is posted or transmitted, there is a permanent record of it. Even with programs that claim to delete content such as SnapChat or Wickr, content is recoverable. Moreover, other users can take screenshots of content. Be thoughtful in what you post online as it will be with you forever and may have devastatingly negative consequences. All social networks have different terms of service (TOS) and privacy settings. Learn about the privacy settings and set yours to protect your family online. Most importantly, never say or do anything online that you wouldn’t say or do in front of your parents or guardians. Make sure that your child takes advantage of the privacy settings on social networking sites. Pre-approve the pictures and videos your child posts online. Remind your child never to post e-mail addresses or cell phone numbers. Tell your child that passwords should only be shared with parents and guardians. Teach your child not to respond to any e-mails requesting personal information and to delete e-mails from unknown senders. Discuss how to keep screen names and e-mail addresses gender-neutral, appropriate, and free of any information that could reveal identity. Who has your data? – Advise students that companies and websites collect data and utilize collected data to personalize content for their users. While this can be incredibly useful for maintaining a personalized online experience, it is also a privacy concern. Know the TOS for the sites you use. Understand that nothing is free. Sites that offer services for free do so by monetizing your personal data. Google provides incredible services that many of us cannot do without, however, they fund these services with your personal information. Other sites have similar business models. These models are perfectly acceptable; just understand what you are giving up for those services.